Thanks for your interest in our Criti-Clean Ultra FFU, the best choice for meeting upcoming USP 800 requirements for the pharmaceutical industry...or any other critical environment. 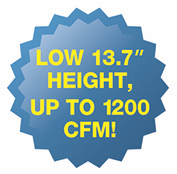 Criti-Clean Ultra is the highest CFM, most energy efficient FFU on the market, yet it packs all this power into the lowest profile unit available. 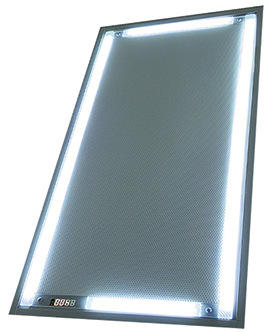 At just 13.7" high, Criti-Clean Ultra is easier to fit into existing spaces, plus it offers a long list of built-in features and options to maximize the use of your ceiling space and meet all of your requirements.